The Cobra II Farrier’s Tool Box is made in a “Platers Style.” This box reduces stress on your back by holding tools where you can reach them. It features seven upright tool holders with padding, which reduces noise while making your tools readily available. Custom fit rasp holders are included in this tool box, keeping your rasps where you need them. 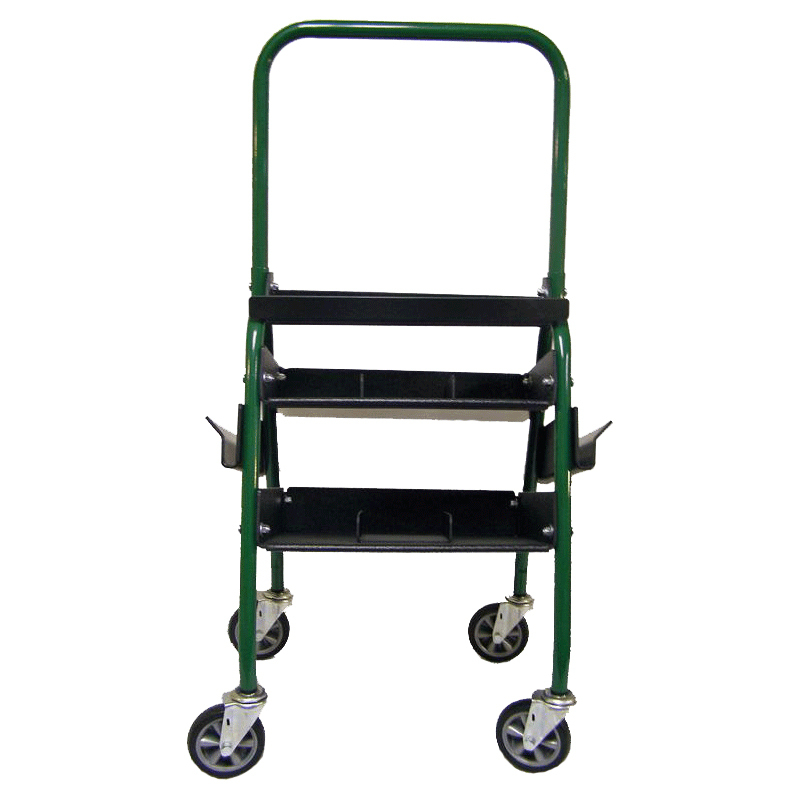 The lightweight ABS Plastic trays tilt forward to face you, and the Large 4” casters move easily over dirt, grass, or any surface, so your tool box can go where you go – without falling over. Replacement trays are available, so if a horse kicks your box, you don’t have to replace the whole thing! Features a powder coat finish.